Made for Wonder, 9781641463652, 398pp. She was born to serve the Goddess Ix Chel. But K'inuuw Mat is destined to continue the Palenque (Lakam Ha) dynasty by marriage to Tiwol, fourth son of famous ruler Pakal. Trained in prophetic arts, she uses scrying to foresee the face of the man with whom she will bear the dynastic heir-but it is not her husband's image. 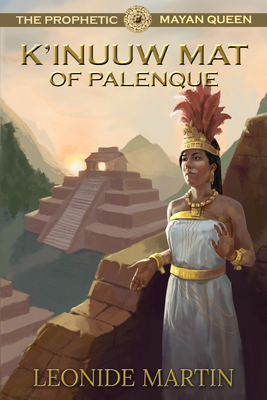 She is shocked upon arriving at Palenque to recognize that face as her husband's older brother, Kan Bahlam. They are immediately attracted, sharing deep interest in astronomy. Though she resists, the magnetic force of their attraction propels them into forbidden embraces, until Kan Bahlam designs a bold plan that would solve his inability to produce a son-if he can gain his brother's cooperation.